Goodwin Consulting Group has a keen understanding of the Mitigation Fee Act (Government Code Section 66000) and stays current on case law relating to development impact fees. Dozens of public agencies, from fast growing cities such as Elk Grove and Rancho Cordova to small cities such as Plymouth and Ripon, have used GCG to develop their impact fee programs. GCG can develop a fee program that is specific to one fee category, such as a fire or road fee, or it can develop a comprehensive fee program that includes multiple fee categories such as roads, water, wastewater, drainage, parks and recreation, municipal buildings, public safety, library, affordable housing, agriculture mitigation, and corporation yard facilities. In establishing nexus and calculating impact fees, GCG considers all components that factor into a fair and objective fee program, including existing vs. preferred facility standards, alternative funding sources, existing deficiencies, partial facility funding through CFDs, and fee credits/reimbursements. GCG also provides assistance to clients to help implement, monitor, and administer fee credit and reimbursement programs. Our staff has considerable experience dealing with the complex situations that arise when multiple developers are involved in large planning areas, and fee credits and reimbursements are needed to ensure a fair share allocation of infrastructure and public facility costs. GCG assists in developing fee credit and reimbursement policies that reflect the objectives of the public agency, keep ongoing program administration at a reasonable level, and maintain equity among the affected developers and property owners. GCG has also developed user-friendly computer applications that help public agencies track fee credits and reimbursements, while taking into account changes in the capital improvement program, interest carry, annual escalators, and application of fee credits on a monthly basis. GCG prepared a transportation development impact fee Nexus Study to implement new fees in the City of Rancho Cordova that will fund more than $1.2 billion in roadway and transit improvements, bikeways, and walkways. GCG coordinated with City staff to identify current land uses in the City, growth projections, and the total cost of transportation facilities to be funded by future development. GCG became an integral part of the City team that worked with the Building Industry Association to reach consensus on facilities that will be needed to serve growth in the City, the required level of service, distribution among various land uses, and other issues that factored into the calculation of the fee. GCG has also been hired by the City to work with the private sector and develop a financing program that will remedy funding gaps that are expected to occur based on a comparison of projected fee revenues and the timing of needed improvements. 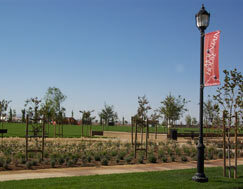 GCG updated the City of Lincoln’s Public Facilities Element (PFE) Fee Nexus Study. The PFE is a comprehensive fee program that includes transportation, wastewater, water, storm drainage, police, fire, parks and recreation, administration buildings, and solid waste facilities. While the drainage fee is divided into zones, the remaining fees are levied citywide. The fee calculations include allowances for certain developments that had earned fee credits or reimbursements as a result of developers constructing the facilities. GCG met with the development community and City staff to present findings of the Nexus Study and to answer questions about assumptions and methodology. The fees were subsequently adopted by the City Council. 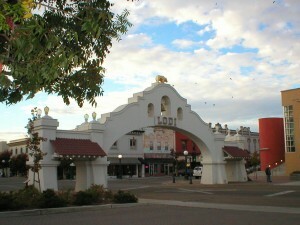 GCG updated the City of Lodi’s Impact Mitigation Fee Program (IMFP) Nexus Study. The IMFP is a citywide fee program that includes transportation, wastewater, water, storm drainage, police, fire, parks, electric, and general City facilities. The Nexus Study includes a cash flow analysis that looks at the projected timing of fee revenues and facility costs to estimate funding shortfalls and determine facility priorities. The fee update process included regular meetings with City staff and the development community in order to reach consensus on the updated IMFP. GCG updated the City of Galt’s Capital Facilities Fee program in order for the program to be consistent with the City’s updated General Plan. In addition to existing roads, police, city hall, park, and corporation yard fees, GCG created a new citywide library fee. GCG also developed separate fee zones to account for the citywide facilities that were funded through a Community Facilities District in one area of the City. In addition, GCG made recommendations to streamline the fee program by consolidating minor fees into a larger comprehensive fee category. Coordination efforts with City staff included monthly meetings to discuss progress, reach consensus on facility needs and assumptions, and present draft fee calculations. The outreach program included a presentation to the development community, as well as City Council workshops. 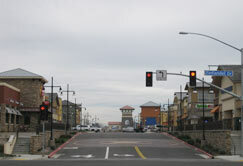 GCG prepared a Nexus Study to implement the City of Elk Grove Capital Facilities Fee, which will generate approximately $100 million to fund a civic center, police station, railroad overcrossing, corporation yard, library, and transit facilities needed to accommodate the impacts of new development. A separate fee was determined for three residential, six commercial, and three industrial land use categories. GCG worked with City staff to ensure that existing deficiencies and facility costs associated with the existing population were excluded from the fee calculation.